Dubai is a city that oozes with luxury and opulence – tall buildings, 5 and 7-star hotels, fancy cars, extravagant nightlife, etc. Initially renowned for trade in its wee years for its proximity and easily accessible multiple ports. The face of Dubai has changed since the introduction of the DSF in 1996. It has played a significant role in transforming Dubai from an oil-driven economy to a tourism economy. Commonly often referred as ‘The city for the rich and famous”, there is more than one side in the city of Dubai. We have listed some essential travel tips that will help you cover the best of Dubai on a budget. The recent years have led to a comfortable and convenient public transport system due to the futuristic changes made by the government. Go back a decade ago, taxis were expensive but were the only mode of transportation to move around. Buses were scarce and waiting at the bus stop in the heat was at times termed impossible. The new bus stops are enclosed and air-conditioned. The influx of visitors and tourists have led to the motivation of the RTA (Road Transport Authority) to build the first over the top metro train lines from Old Dubai to New Dubai with several stops connecting the significant landmarks of Dubai. The Dubai Metro operates across two major lines, Green and Red since its inception in 2009. The introduction of trams in the recent past has helped visitors access the Palm Jumeirah with ease. This sizeable man-made island resembles a Palm tree structure, and hence the name, the Palm. Your first step for budget travel within Dubai would be to purchase the NOL Card. This smart card permits users to travel by any mode of transport, be it train, tram, bus, and taxis. Users can purchase it at the metro stations or some bus stations and RTA customer centers. For budget travelers, they don’t want to end up spending most of their budgets in travel & lodging. All the airport terminals are connected via metro train for easy access and convenience for the travelers. The NOL Card also permits you to purchase a day city pass for less than AED 10. Look out for the map regularly when you are traveling for the first time, as every destination is mentioned on the map. Start off with the malls as many offer an experience like never before. Visiting the ancient Souks is an experience in itself. 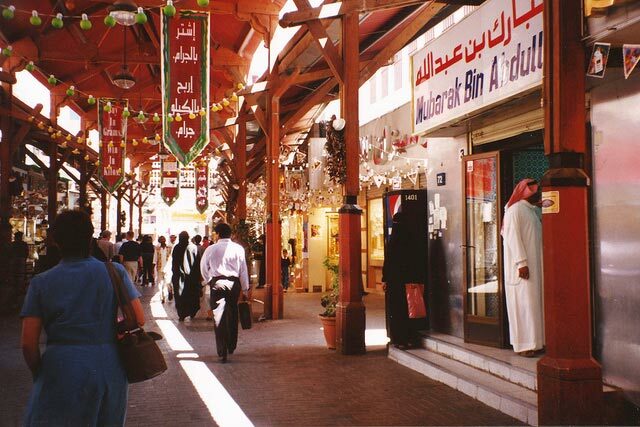 ‘Souq’ is an Arabic term for a marketplace or a bazaar. The first stopover has to be old Dubai or Bur Dubai. The Deira City Center is one of the famous malls in old Dubai that houses modern fashion retail giants, food courts, cinemas, groceries, fitness centers, and much more. Window shopping is a fun activity in several malls. You have to indulge in it to understand the fun behind it. The next stopover would be Palm Deira, an ancient trade hub that houses the gold souk, famous for its yellow metal and precious stones. Don’t be surprised at the prices on offer. The best part is that you can still bargain, as it is a norm. The souks are busy tiny streets that are jammed with traffic but is a fun place to shop. This area features a vast air-conditioned Waterfront fish market spread over 100,000 square meters. It also features a vegetable and a meat market. 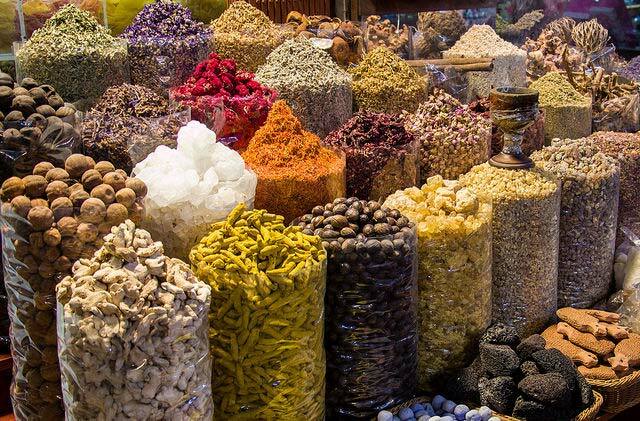 Your next stopover would be Dubai Creek, which houses the Spice Souks. A treat for people who look to flavor their delicacies with fresh spices and condiments. Hop on to an Abra, a traditional water taxi that takes you for a tour along the Dubai shores. One of the fun facts about the Abra is that it is an open boat with a center seating facility. It costs less than AED 1 to cross over to the other side of Old Dubai. A fascinating experience for budget travelers. Once you hop out of the Abra boat ride, head to the small street where you can purchase pashminas, crafty accessories, harem pants, and footwear. Bur Dubai is a textile hub, and it also features some great places to grab a quick bite. Do stop over to explore the Al Fahidi Fort, one of the historical places to visit in Dubai. There are several museums, cafes, and Emirati craft shops to explore in the region. The most prominent one is the Dubai Museum that gives you a glimpse of the face of Dubai before the oil boom. Most of the buildings in the region are sand colored, and streets are narrow laned. Head back to catch the metro from the Al Fahidi station, get down at the Al Jafaliya station near Zabeel Park. A rare family-friendly lush green environment with facilities like running tracks, sports fields, kids playing area, and outer-space themed entertainment hubs for kids named Stargate. There is also a lake in the park to indulge in some motorboat rides for the travelers. Come every Friday; there is a Ripe market organized to purchase local organic fruits and vegetables. After exploring the area, catch a metro till the Dubai Mall, one of the largest malls in the world, and it shares borders with the tallest building in the world, the iconic Burj Khalifa. There is an air-conditioned walkway to the Mall. Do pack your bags with some quick bites and snacks to keep yourself energized through the day. There is an indoor aquarium that houses exotic marine life creatures. 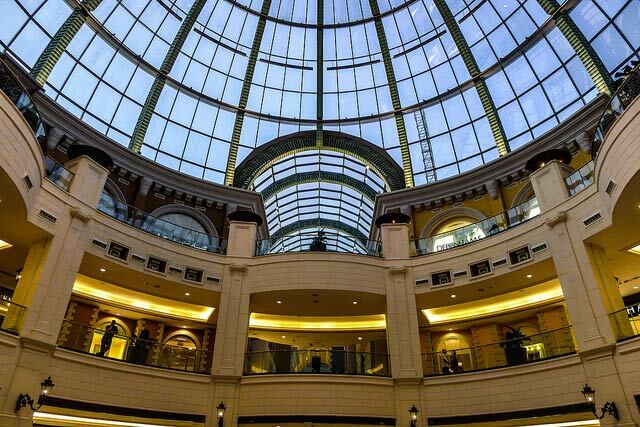 It is one of the biggest attractions of the Dubai Mall. 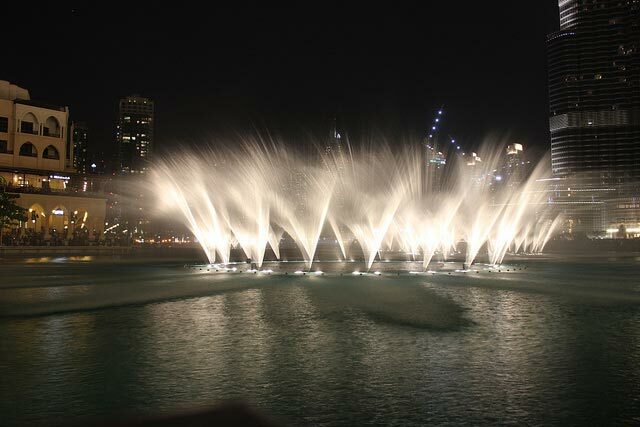 Once the sun sets, head to the waterfront where you can spend your evenings mesmerized by the magical dancing fountains. Along the train line, there would be three more places of interest, the Mall of the Emirates, featuring the indoor ski resort and plenty of top-notch labels and a host of activities; Dubai Marina featuring cafes, food joints, and the beautiful water canal. The Jumeirah Beach Road or the JBR is another high-end street in Dubai that houses an array of fancy restaurants and luxurious hotels & resorts. Do check out the fancy cars that line up at JBR. 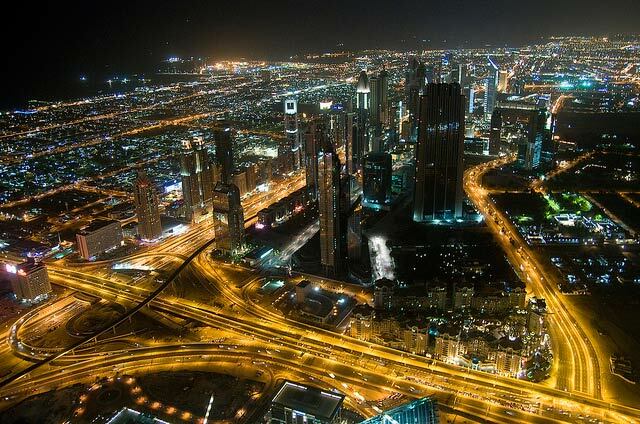 If you wish to party, then Dubai’s nightlife is something worth exploring. Many clubs host ladies nights during the week. A few free drinks in one of the happening Dubai clubs will surely help keep a check on your budget. So, just hop in and off the Dubai Metro and explore the best of Dubai by foot, which gives a different experience as compared to the fancy taxis or fancy rides.